The proliferation of online forex brokers means that anyone can now trade from the comfort of their own home, coffee shop or beach cafe. Some even do so for a living. But the thought of putting your own money into high-risk currency transactions might be enough to make you think again. Not to mention the confusing financial terminology, dozens of different broker accounts and mass of conflicting advice that’s out there. If you get past these initial hurdles, the rewards can be substantial. Forex success is not easy. Learning the technical aspects of trading can be a challenge. For anyone considering trading in the forex markets with their own money, it’s not about trading technique, but rather about setting off on the right foot. Here are a few things to be aware of before you begin. First and foremost, you should decide what you are trying to achieve. Many people begin online trading with a rush of enthusiasm believing they’re going to make vast sums of money very quickly. However it’s necessary to give some thought to your own personal circumstances and long term objectives. What are your financial objectives, and times scales? Only once you’ve thought about the above can you decide what type of trading or investment system would be most suited and most profitable given your own personal circumstances. For most people, the primary goal is making money. For a few, it’s the technical challenges that trading offers – pitting their wits against the world’s best professional traders and money managers. Making big money in the forex markets requires intelligent planning, good risk controls, and perseverance. Strong nerves are also essential to withstand frequent setbacks. Step 2 : Am I a Trader or Investor? Decide if you’re a trader or an investor. Traders and investors usually have different skills and priorities. The investor: An investor seeks a return on his or her capital but has (or wants) little involvement in day to day trading activities. An investor needs a certain amount of free capital to invest. 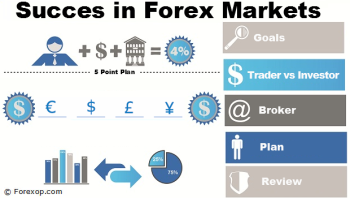 One thing that attracts people to investment in forex is that you don’t have to risk a fortune to make ample returns. Leverage can magnify small gains, however it does also increases risks. 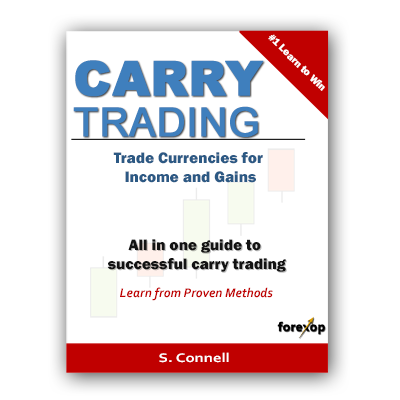 The trader: A trader is the person who decides how the money is put to work in the currency markets. They’ll decide when to open and close transactions, and in doing so make a profit or a loss. Would you be scared by short-term fluctuations in your capital? If so perhaps a savings account would be more appropriate. As a trader, you’ll need to be able to spare enough time each day to analyze the markets, to do some financial research, and technical analysis. Depending on your level of commitment, this can be anything from 1 hour to 12 hours per day! Can you spare this amount of time? If you’re a skilled trader but have little free capital, you could make a profitable living out of trading for other people. In other words, people entrust their money to you. Read more on this. Only once you’ve considered the above points will you be in a place to consider a suitable broker. It’s best to have a clear idea about your goals and strategy before you start your research into which broker is most suited to your needs. 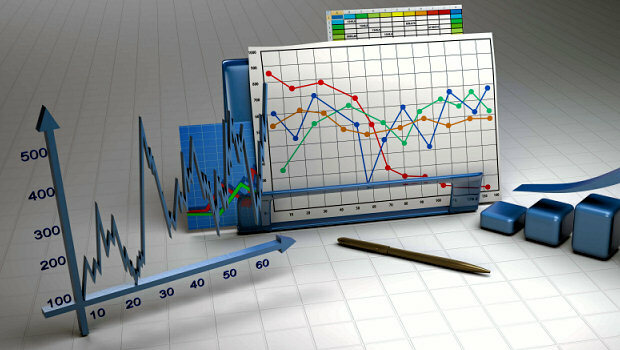 Check our reviews on forexop to help you. Some brokers are geared towards more experienced traders, while others are geared towards beginners. Some are better suited to investors, others to day traders. Some brokers have active user communities where you can share ideas and ask questions, and with others trading is a more isolated experience. Broker Name Suitability Investments Community? All retail brokers offer demo accounts where you can practice your trading or investment strategies without risking real money. Allow at least 6 months to test and refine your trading system. The longer your “test window”, the more likely you’ll be to encounter typical market conditions. Many new traders make the mistake of going into real trading without testing their strategy sufficiently well under a range of market phases. Warning: A common mistake is testing a strategy during a strongly trending market. When the trend breaks, the strategy generally underperforms. Different market phases and cycles can produce very different results. Developing a workable trading system takes time and perseverance. Money management should be part of the plan. This ensures that the account isn’t exposed to too much risk and that a few trading losses won’t be enough to empty the entire account. Start with smaller trades: Given the high leverage that many brokers offer, it can be tempting to start with big trades that will hopefully earn equally big returns. However it’s safer to start with smaller position sizes (a micro or nano account) and only expose a fraction of your total funds at any time. No plan is perfect. It’s almost certain that a trading plan will need tweaking and refinement as you gain more experience and encounter different market cycles. For some, a 1-2% return per month would be spectacular. For others, it would be a dismal failure. Over the short term of days, to weeks it may be impossible to tell the difference between market fluctuations, and a trading/investment plan that’s not working. For this reason, it is necessary to give it enough time. Review your P&L over weekly, monthly and quarterly periods. Do this objectively and revise and rework your plan until it is profitable. Small and consistent profits are far preferable to big one off wins. Keep in mind, just a 1.75% return per month compounded would be nearly 23% return per year. It then won’t take long for profits to gather momentum. The billionaire investor, Warren Buffet, is well known for achieving an average 23% return, year after year on his investments. He started with barely nothing, but look where it’s got him.